Row 17 is where we ended up. 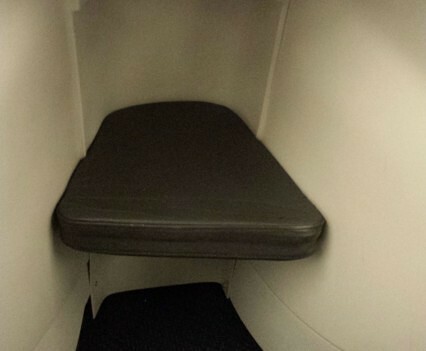 For sleeping, the aisle seat worked better. 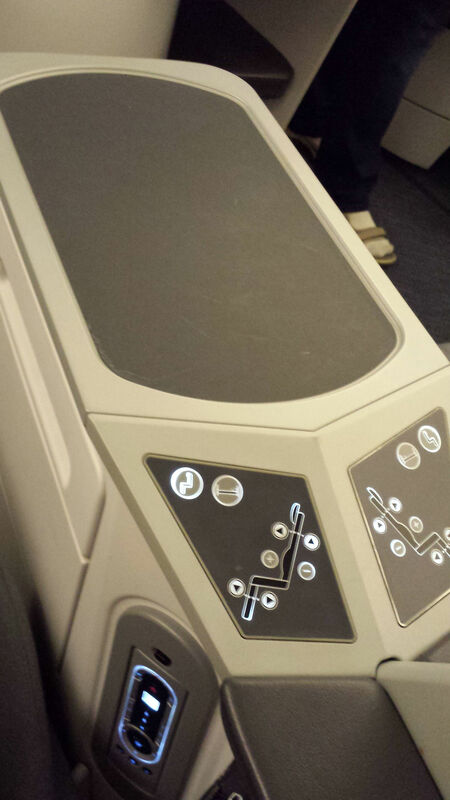 A slightly larger footwell made it easier to shift around in-sleep. 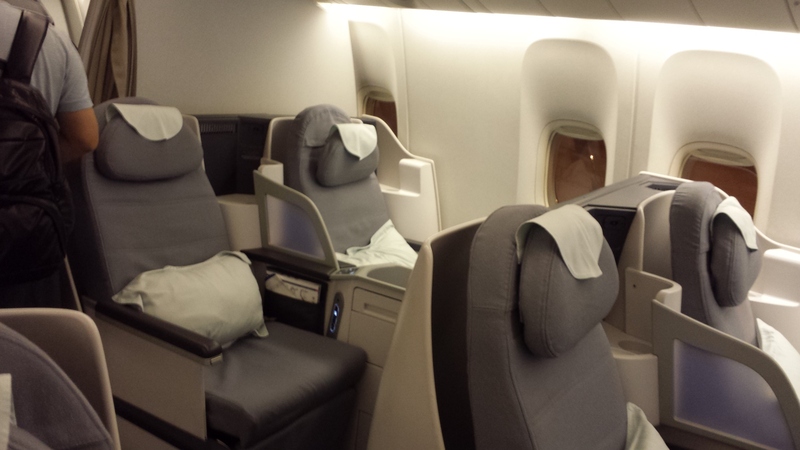 It’s noon where we’re from so it’s a midday flight in Air China Business Class aboard this 777-300. 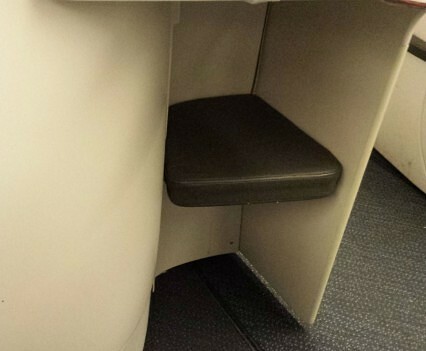 Our seat(s) got a hearty 3-hops in our full video and text reviews, now we’re sharing the less than pro stills of our classy but foot-numbing experience. 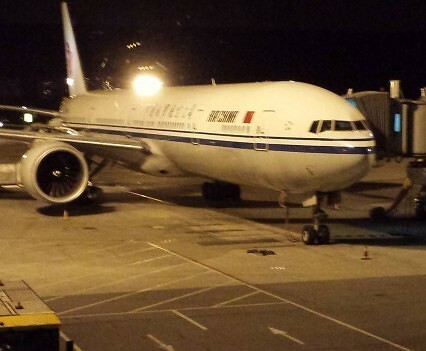 An Air China 777-300 set for boarding in Beijing. 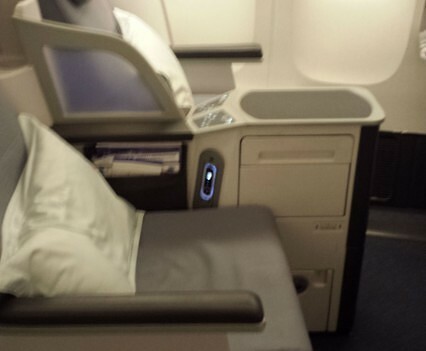 These seats will seem familiar if youve been in United’s Business First long-haul seating. 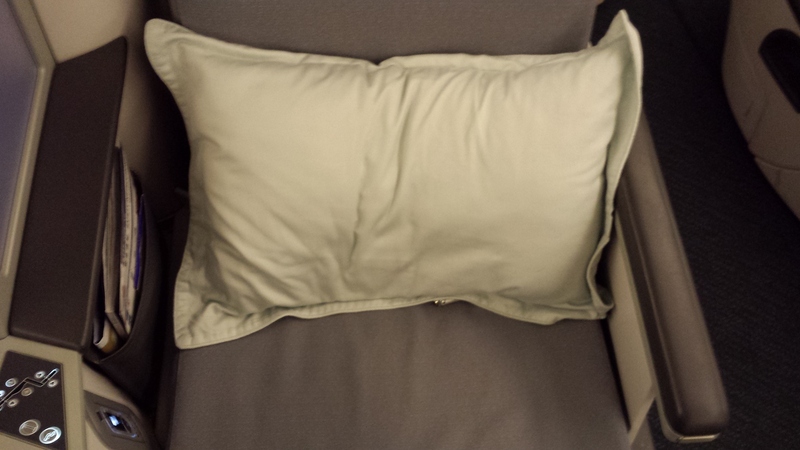 Here though, you’ll have a bit more width and likely less footspace in sleep mode. 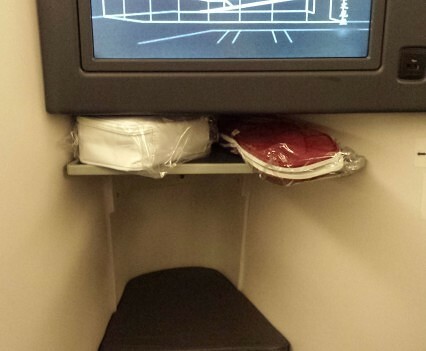 There’s a little shelf below your TV for stuffing things in-flight. Bad spot for anything pointy during takeoff. 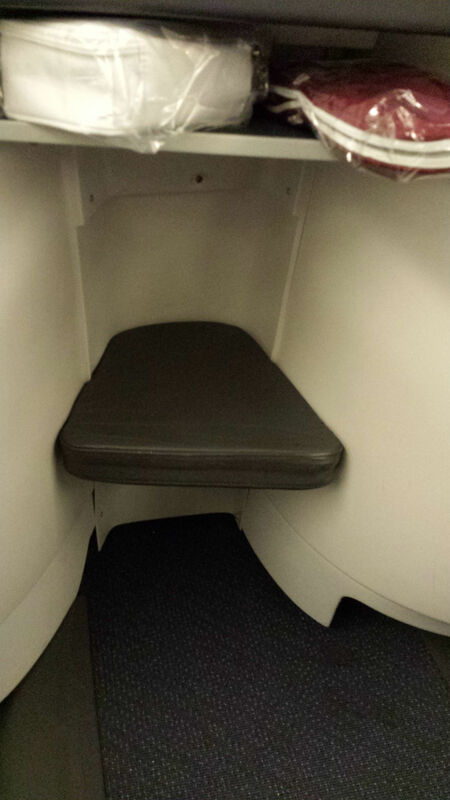 Footwells in most spots but the bulkhead row were anything but generious. 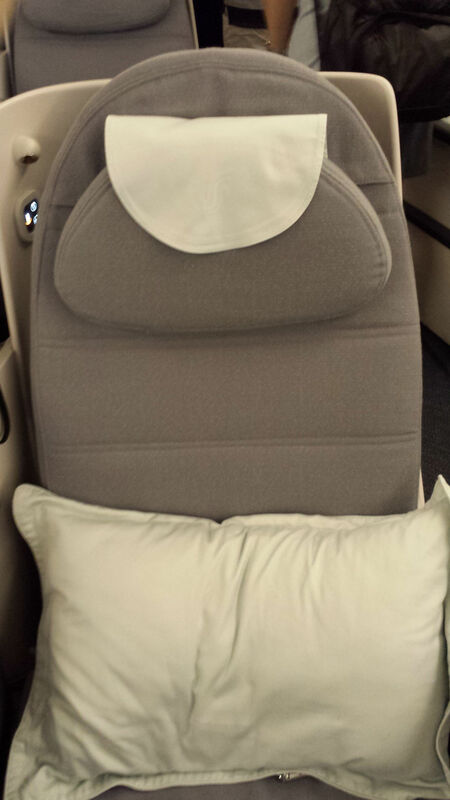 Seats have fairly decent width and are well cushioned. 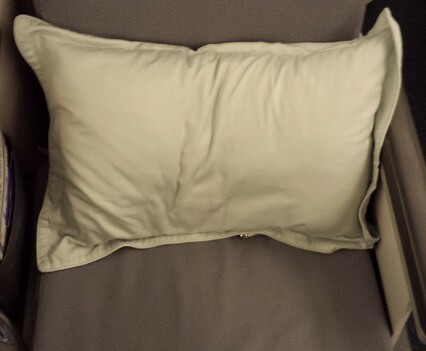 Pillows and blankets are clean and comfortable. 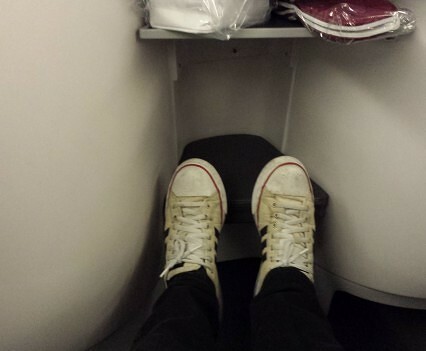 16H is living large..or larger where foot space is concerned. 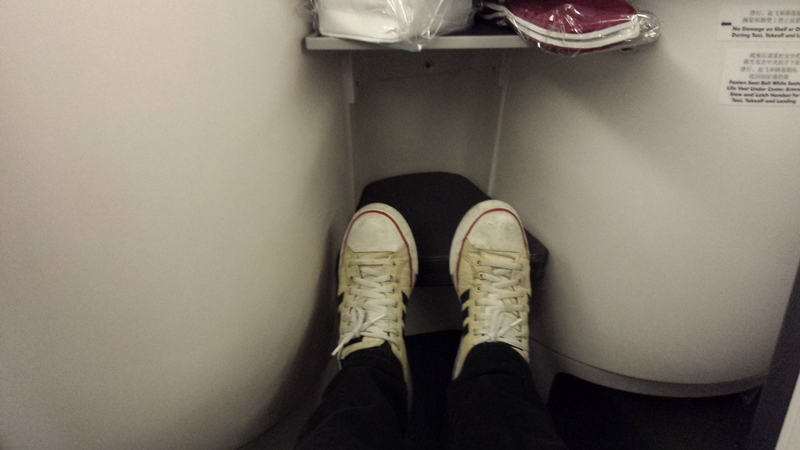 16D doesn’t have as generous a footwell as it’s neighbor in 16H. 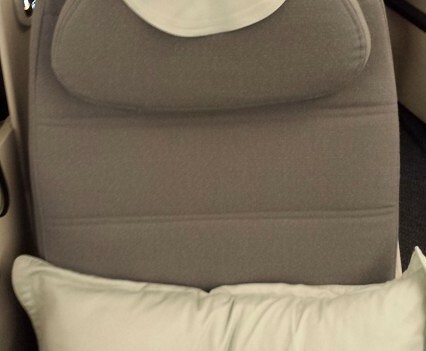 Drive by shot of bulkhead seat. 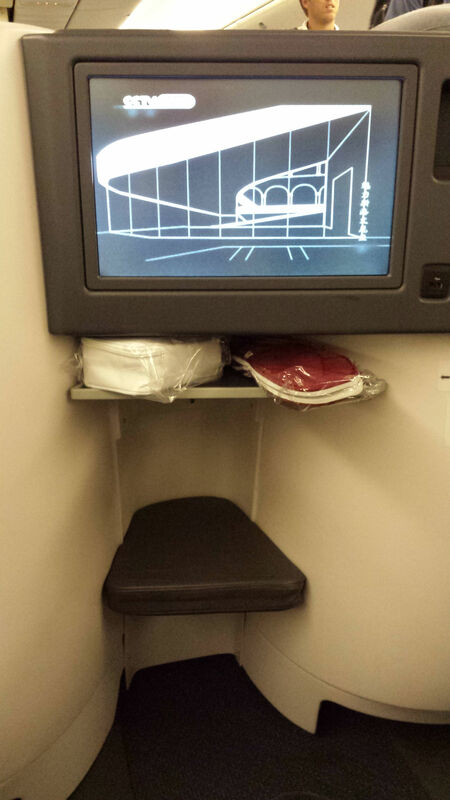 Not shown are the bulkhead’s larger footwells. Great if you can get em. A generous center console means good space between you and your closest neighbor. 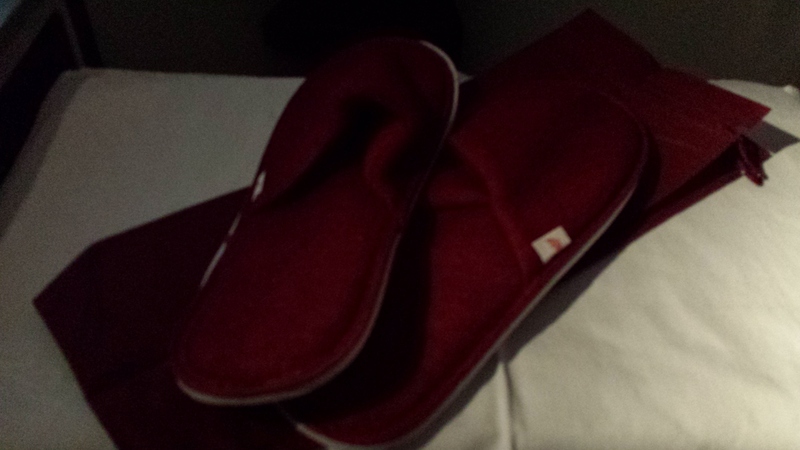 On our nighttime flight, slippers and pillows were handed out…and are now part of our home collection. 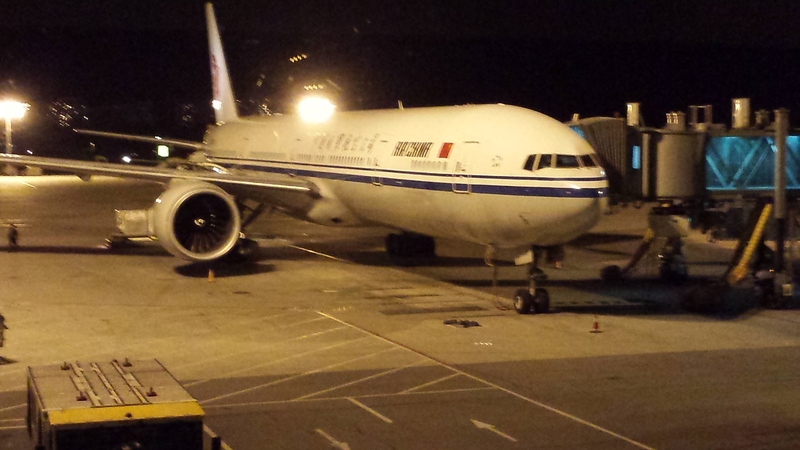 I shudder at the thought of Air China. 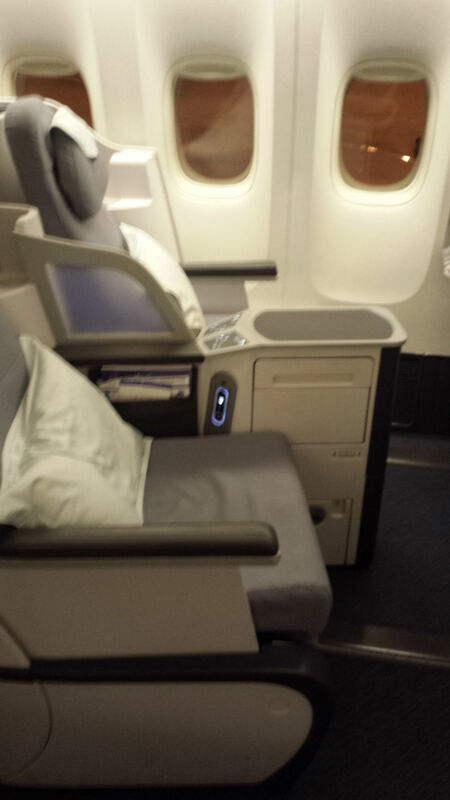 Tried them business from PEK-SFO on a 747. angled lie-flat seats, awful service, worse food(the worst I’ve ever had, by an enormous, memorable margin), portable electronics not allowed during entire flight. I will never, ever forget that awful experience and will do everything in my power to avoid them in the future. 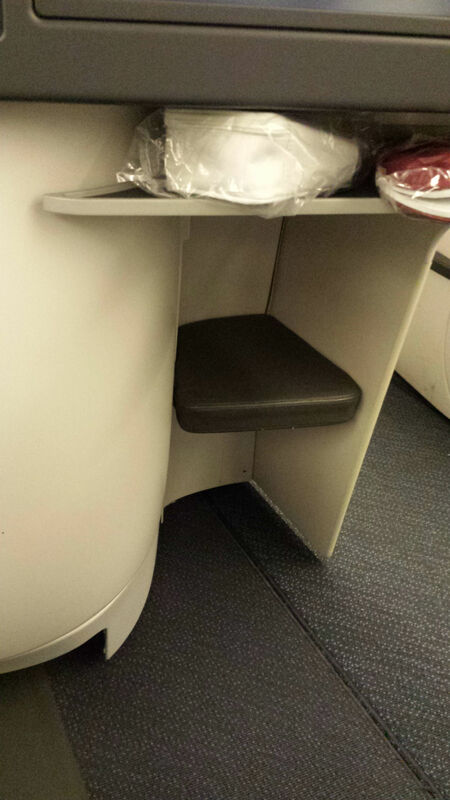 Glad to see they upgraded to the business class of 5 years ago though. 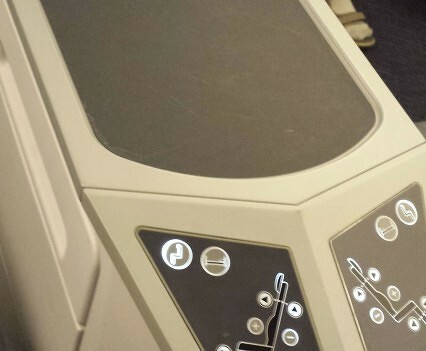 Try a real airline. 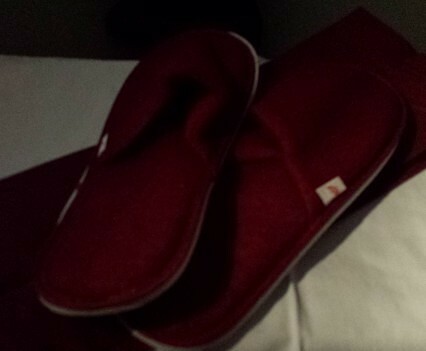 I fly either Cathay pacific or Singapore Airlines. Cathays 777 business class are exceptional and I still fly their 747 business class if they have a 747 going to my destination. Hi Jim, We’ve covered Cathay a little more extensively than Singapore but we’re big fans of both the airlines you mention. 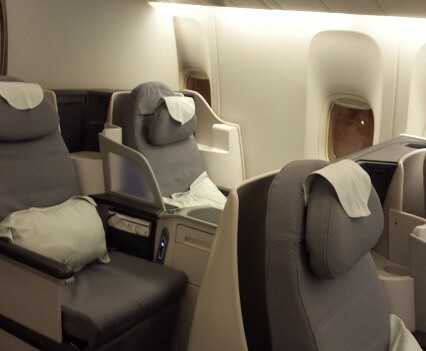 Stay tuned, we’ve got reviews of Cathay 777-300 & 747-400 First Class and 777-300 Premium Economy on the way in coming months. Cheers!